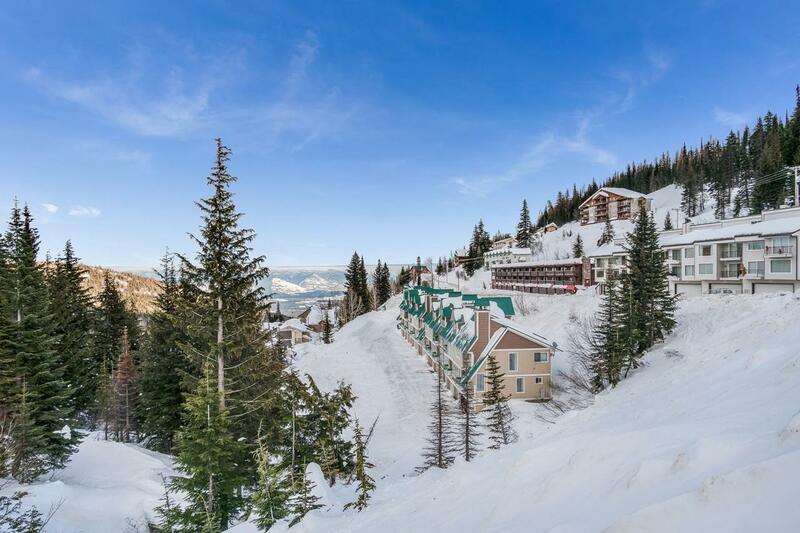 Ski in/ski out, 3 bedroom end unit in Upper Creekside. Great location, close to the village with private driveway. Condo overlooks Schweitzer Creek, has mountain views and features open floor plan, gas stove. Upstairs you'll find 3 bedrooms, Master Suite features wood burning fireplace, mountain views and vaulted ceilings. 2nd & 3rd bedrooms have loft areas. 2 car garage with laundry and storage. Furniture included.